From the magnificent work of Antoni Gaudi in Barcelona to the ancient city of Cordoba and the famous pilgrimage site of Santiago de Compostela — the choice of UNESCO World Heritage Sites to visit in Spain is big and varied. With a staggering 44 UNESCO sites, Spain is the third most represented country on the list of world heritage sites, trailing only Italy and China. Renting a car in Spain and driving yourself to the sites that interest you most, is a great way to explore Spain at your own pace. To pique your interest and inspire your next European adventure, we’ve compiled a list of a few of Spain’s most popular world heritage sites easily accessible by rental car. The works of Antoni Gaudi consist of seven buildings in or near Barcelona that shows his exceptional talent as architect and sculpture. A highlight is the Parque Guell on a hill overlooking the city. The multitude of sculptures and colorful mosaic work are a fine example of Gaudi’s amazing talent. The other six buildings or sites are the Palau Guell, the Casa Mila-LaPedrera, the Casa Vicens, the Nativity Facade and the Crypt of the Sagrada Familia, the Casa Batllo, and the Crypt of the Colonia Guell. Not too far southwest from Madrid, you will find the ancient city of Cordoba, which was one of the first five sites selected for inclusion in Spain’s UNESCO World Heritage list back in the 1980s. Not only was Cordoba once one of the capitals of the Roman Empire, it also played an important part in the history of the Byzantine Empire, and was a capital of the Arab Empire during the time of the Umayyad Dynasty. Testifying to its varied ancient history is the Great Mosque of Cordoba, also known as the city’s mosque-cathedral because the original mosque was converted into a cathedral in medieval times. Apart from the mosque-cathedral, Cordoba boasts 13th-century churches, a 14th-century synagogue and the 15th century Walcha Cave. 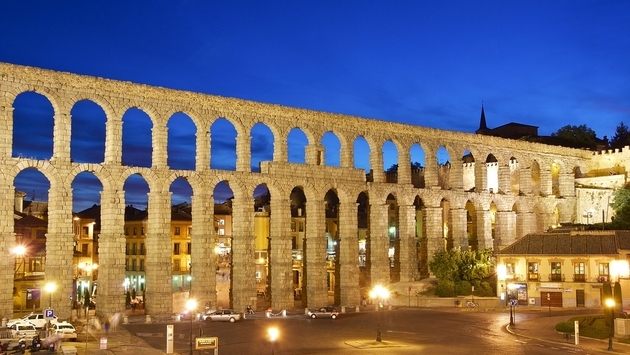 Driving a little north of Madrid you will get to Segovia, another one of Spain’s earliest UNESCO sites. The big attraction here is the Roman aqueduct with its two tiers of 170 arches that was built more than 2,000 years ago. Not to be missed is also the 16th-century cathedral, a prominent landmark and still the highest point of Segovia’s skyline. Before leaving, visit the Alcazar Castle and marvel at the town’s medieval wall at the northwest end of the town. These are only a few of Spain’s magnificent UNESCO World Heritage Sites. To learn about more of them, go to Auto Europe’s website and read the blog post on what the company considers to be the top 10 sites in Spain. Sam Schuler is a travel writer, photographer, graphic artist and a member of Auto Europe's marketing team in Portland, Maine. An Oregon native, Sam has enjoyed trips to France, Italy, Bermuda, and Mexico on multiple occasions. Sam continues to draw creative inspiration from his travels, documenting many of them in a variety of mediums, including travel blog writing and photographic exposes.